Kudos to all commenters on Identification Challenge #9. 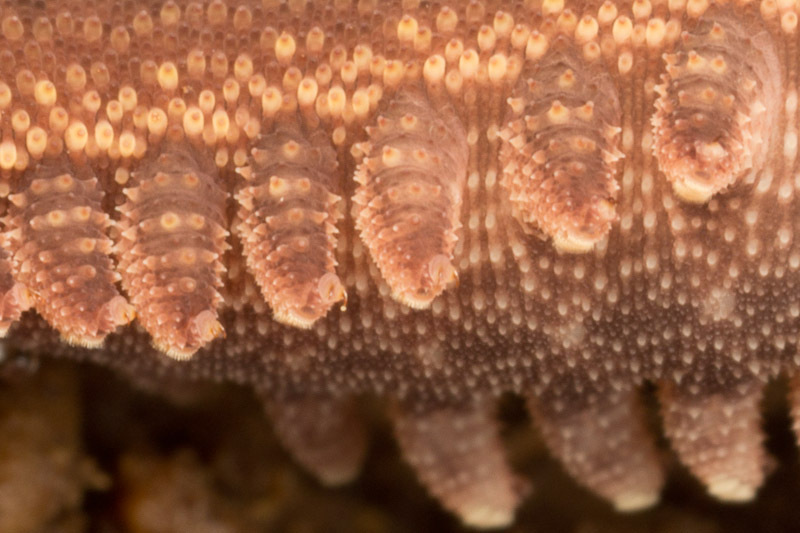 They all correctly determined that this was a closeup of an Onychophoran, commonly called a velvet worm. These strange creatures have their own phylum, Onychophora, the name of which literally means “claw bearers”. You should be able to see those claws above, at the tips of their stubby little legs. Wikipedia tells us there are only two surviving families, Peripatidae and Peripatopsidae, geographically separate. The range for Peripatidae includes Central America and tropical South America, making this a member of that family. One of my main goals for this trip was to find one of these. I read up on them ahead of time, learning about where I might expect to find them. I succeeded on my second day, but sadly I only found this one. Here’s a shot of how I found it, after turning over a small log. 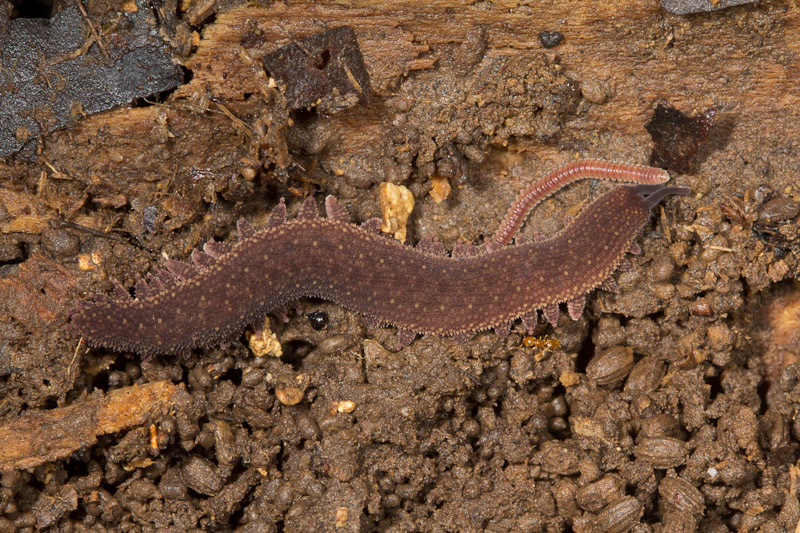 Velvet worm, as found beneath a rotting log. I’ll have more information and photos of this interesting critter in a separate post. For now though, check out its unusual hunting style in this brief clip from BBC’s Life in the Undergrowth. Is that a platydesmid millipede next to it? BBC cinematography just never ceases to amaze! I found this amazing blog just several weeks ago, full of outstanding pictures of creatures. Now I become a fan and visit here every day.